We’re delighted to invite you to IHC 2019, the 19th Congress of the International Headache Society. 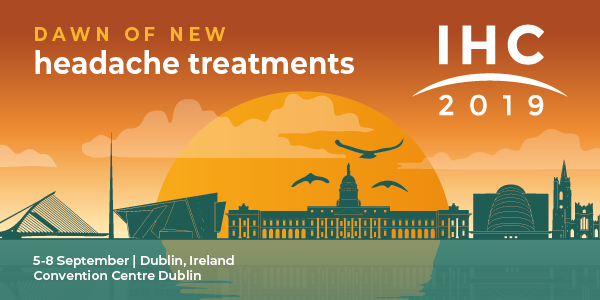 IHC 2019 will take place from 5-8 September 2019 in Dublin, Ireland. This may be considered a very bold statement, but we are entering an entirely novel and exciting chapter in migraine treatment. In Dublin, we will present delegates with the most up to date research in the basic and clinical sciences. We will provide a broad understanding of the scientific background of primary headache disorders, thus ensuring an exciting future for headache medicine. We invite you to share your knowledge and learn about the latest advances in headache treatment.